KRS-One labels himself "an architect of Hip Hop culture," says Afrika Bambaataa "is the sole author of Hip Hop’s cultural existence." 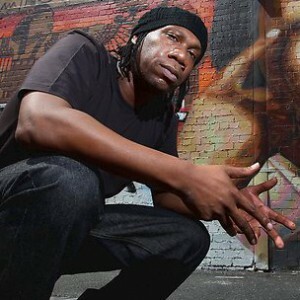 After being asked about the connection between the social context, political context, and the official birth of Hip Hop in the 70s, during an interview with Vlad TV, KRS-One addressed a number of topics including the lack of respect for Hip Hop in America, Public Enemy’s pull on revolutionary white kids, and more. The Bronx, New York lyricist started off by stating that being a part of America was never a goal for those in his generation. He then questioned why he has to currently travel to a country like Switzerland to make money as a Hip Hop artist. According to KRS-One, Hip Hop is more accepted by the government in a place like Switzerland than it is in the United States. KRS-One also spoke on one of the founders of Hip Hop, Afrika Bambaataa. While speaking on Bambaataa, the rapper revealed that Hip Hop wasn’t as impromptu as a network like MTV might have led people to believe, and was instead a deliberate and carefully planned out movement. KRS-One’s interview with Vlad TV can be found below.